This board provides a perfect mix for your plants to give them the full spectrum of light they need. 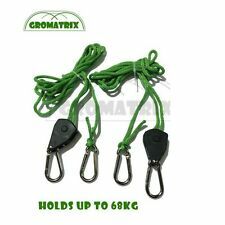 You won't find a better mix for your plants at this price range, especially with the quality of both Samsung and Cree built together. 1 X Upgraded ECO 300W LED Grow Light LED Panel. Full Spectrum: Suitable for using during germination vegetable and bloom. Lifespan: ≥50,000-100,000hours. Coolling System: High-quality Heat Sink & Fan excellent for heat dissipation. Brand new 3500K LED COB module. These chips are popular with DIY grow light makers! They are a more economical introduction into 'photon chasing' than Cree. Please check out my other items for passive pin heatsinks, Meanwell drivers and other stuff. If you have any questions please ask and I'll do my best to help?. In perfect working condition with no issues. Qty:4 New, never used. 72V 11,000 lm output. Group 40G. 100W >90 cri Ships globally through global shipping program. 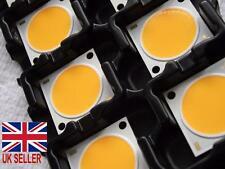 Perfect fit for our LEDs - no glue or fixings required! 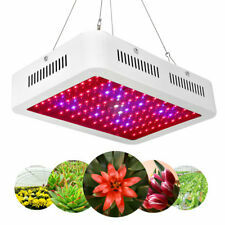 Kind LED K3 L300 L450 L600 Series Grow Light Full Spectrum Indoor Hydro Lighting. Condition is New. Shipped with USPS Priority Mail. Cool Tube Shade Grow Room Tent Hydroponic Lighting Reflector Air Cooled 5" 6" 8"
We haven't forgotten the hardworking organic gardener. Grow Wurks loves organics too, with a large variety of FoxFarm organic potting soil, and top quality organic fertilizers. Whatever your gardening interest is, we have it. Set of 3 Screen Size stackable sifter 120, 160, 220 Micron hash extract sifter. This is a set of 3 different screen sifters for pollen extract. dedicated for hash extract with 120 micron, 160 micron and 220 micron screen. Kit CFL 150W AGRO - Per Crescita e Fioritura. Questokit CFL 150w AGRO include il necessario per illuminare la tua grow box con una lampada a risparmio energetico sia per le fasi di crescita che di fioritura. The DigiDrive 600W ballast has four adjustable power settings for continuous flexibility during the whole growth cycle. The DigiDrive is lightweight, small in size and silent running, only your plants will know it’s there. The Atreum Lighting 288.2 Full-Spectrum LED Board is an exceptionally power-efficient light source for horticulture applications. 288pcsSamsung LM301B SK Bin high-quality diodes per Board. High efficiency LED boards with 288 diodes for full-spectrum lighting. 150mm 6" connections for ducting. Tempered glass for increased light penetration & Safety. Cable with IEC connector (4m) (plug straight into your lighting ballast). The LUMii OPTii is a closed ended, lightweight reflector allows for more intense and focused light. 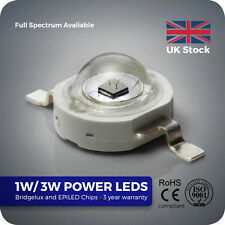 Unlike others on the market, the LUMii OPTii includes a unique lamp holder that is adjustable and designed to fit a range of HID bulbs when used with this reflector. Nicht das ihr euch wundert. Wir haben bewusst auf eine Zeitschaltuhr verzichtet. Netzkabel 1,9m & Reflektorkabel 3m. - Ideal für den Einsatz in feuchter Umgebung durch einen hochwertigen korresionsbeständigen Sockel. 1 x 600W HortiGear Vorschaltgerät (NEUWARE zündet NDL und MH). Das HortiGear Vorschaltgerät hat ein ganz hervorragendes Preis-Leistungsverhältniss. auch bei dem "Bausatz" oder dem "Growset" an sich, handelt es sich um elektrische Bauteile für den Einbau in dafür vorgesehene Schaltschränke. Fixture is UL/CUL listed. Plug in and go with these beautiful lights. Perfect for indoor gardens. Rolling Switch on 6' power cord. Auch bei dem "Bausatz" oder dem "Growset" an sich, handelt es sich um elektrische Bauteile für den Einbau in dafür vorgesehene Schaltschränke. Solche elektrische Anlagen dürfen nur von Fachpersonal angeschlossen werden. 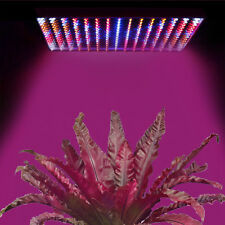 12" T5HO 6400K full spectrum grow light with reflector to maximize all the light. Fully adjustable canopy to keep the light as close to your plants as needed. Wicking table and capillary mat. GREAT for a busy lifestyle! Kit CFL 125W Bianca - 6400°K - Crescita. IlKit luce CFL 125W con lampada a luce bianca è un set completo di accessori e articoli per illuminare la grow box risparmiando corrente. Il kit Kit CFL 125W Bianca - 6400°K - Crescita comprende. Hydroponics Grow Light Mover LightRail (RRP £199) Made in England. EU- CE Compliant. Plus an Exclusive Heavy Duty Add-a-Lamp Trolley (£24.95) included. Ne xt Generation Light Mover - New Release. Join the many growers already using this latest smart mover - built and tested in the UK. With the LUMii MAXii system and the CFL Converter Ki,t you can use a cool CFL lamp for vegetative growth. No other reflector does this - it is easy! It is an open ended highly polished and dimpled lightweight reflector which gives an efficient and even distribution of light.